research | Scholar Hero Blog | Geniuses Welcome. Scholar Hero Blog | Geniuses Welcome. Academic support blog about all things scholarly. Scholar Hero is now in Remote Beta! Sign up for a demo at scholarhero.com/beta-signup! The reviews are in from out Pittsburgh testers, and they have been stellar! After responding to their feedback and iterating accordingly, we are ready to test Scholar Hero beyond our home base! 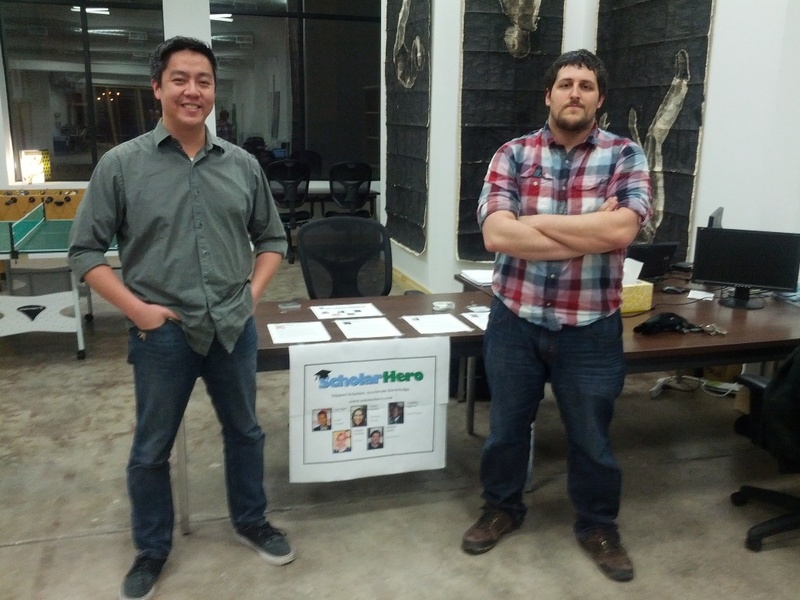 To test with us for absolutely free, simply go to scholarhero.com/beta-signup. We will send you to our testing page with a permission code. All we ask in return is a quick survey about our platform after a week of use. Thanks to everyone for their support, and we hope to keep working hard to get Scholar Hero ready for our wide release! We we began this journey to be “Scholar Heroes” months before we even called ourselves that. We wanted to improve academia for the better and invent new tools that would change the way we create knowledge forever. Then the obvious question struck: who exactly are we trying to help? We limited ourselves to the plight of those who pronounce themselves to be in the academy: graduate students, doctorates, post-doctorates, new faculty, and so forth. We remain convinced that their concerns are paramount to the continued success of knowledge production in our nation and beyond. However, as we engaged with other people in the university environment, we realize that our scope has been far too narrow. What about the plight of…. 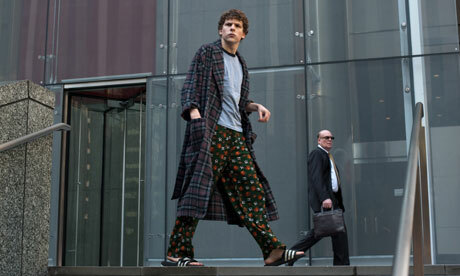 Such attire is permissible if and only if you’re about to launch a multi-billion dollar company. Also, kids, don’t drop out of college. Many members of our own team express the same concerns that their teaching assistants and professors do: hyper-competition, a lack of collaboration, an absence of support. These problems are exacerbated by other factors such as the size of the school as well as the presumed prestige of the institution in itself, but virtually every student shares these experiences. He aspires to attend Oxford or the Sorbonne, with Harvard as his safety. Also, he’s one of the worst students at his school. More and more students now come from abroad to earn that highly coveted United States-accredited degree. These students provide a wonderful opportunity for the international academic community to grow their networks and strengthen their knowledge base. However, typically these students possess impressive skills in one field yet show a dearth in another, leading to a frustrating experience for both students and instructors. The list of groups that could potentially benefit from Scholar Hero go on, but for now, we’ve decided to build our first product with the interests of these three in mind in addition to our primary group. In other words, we’re looking out for Scholar with a big S, the precocious knowledge seeker who constantly inquires, perpetually distributes, and relentless improves upon their body of knowledge. Support Scholars. Accelerate Knowledge. Somehow that phrase rings louder than it ever has before. There’s an old saying that college is a lot like watching ducks in the pond: on the surface, everyone seems to be doing just fine, but if you look underwater, you’ll see that everybody’s kicking like crazy just to stay afloat. Many students feel like they exist on the fine line between stability and chaos, with their mental state as the site of mounting tension. More often than not, a few students will actually break and succumb to a multitude of disorders, and the rate of this occurring increases dramatically in graduate school and beyond. Unfortunately, not enough studies on this problem have been conducted. According to an article published by the American Psychology Association (APA), at least 17% of students reported having a serious mental disorder at the University of California, Irvine, with 30% reporting having a mental health concern that affected their well-being or academic performance. Another survey by the APA found 87% of psychology students at the University of California, Berkeley experienced anxiety, 68% reported symptoms of depression, and even 19% have thoughts of suicide. A powerful demographic for a very serious problem. This phenomena has potentially destructive consequences for the potential success of a college student’s career. 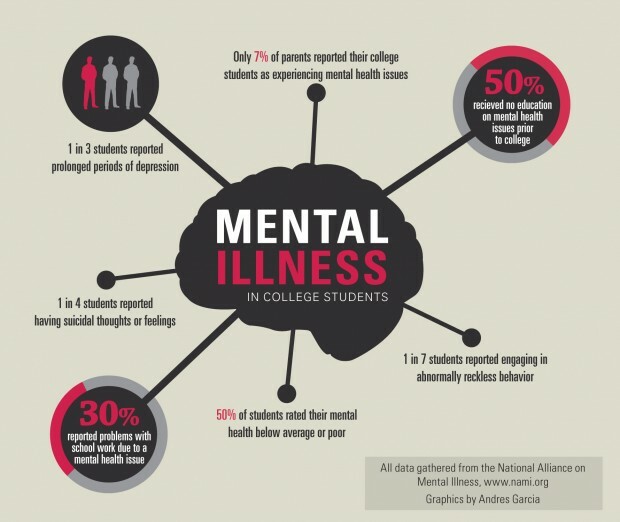 The National Alliance of Mental Illness (NAMI) reports that 64% of students diagnosed with a mental health condition take extended leaves of absence of drop out entirely. If this problem persists, more and more students will miss out on opportunities to complete the degrees necessary to fulfill their potential. Seek help as soon as you can – This especially goes for males, who make up only 40% of all counseling services. There’s no shame in preserving your mental health, especially if it prevents a far more grave circumstance. Attend support groups – Do this whenever possible, as they serve as a reminder that you’re not alone in your experiences. Communicate with your family – Only 7% of parents report that their students experience mental health issues. Families should not be in the dark if you’re going through something serious, and often they become your unwavering basis of support. Educate yourself (with a professional) – If you think you might have an issue, don’t try to self-diagnose online. Talk to a counselor or a doctor about your possible condition. Exercise regularly – For a many number of reasons, exercise has been widely viewed as a terrific solution to mental disorders such as depression and anxiety. For “heavy thinkers” such as scholars, exercise provides a moment to focus your mind on other things, build confidence, and, of course, improve your physical health in the process. We at Scholar Hero aren’t necessarily doctors or healers ourselves, but we hope to contribute to the overall project of improving mental wellness by making scholarly activities much more manageable. Many students complain about the stress of grant application, job seeking, paper writing, and other academic activities that don’t have to induce so much misery. For graduate students and scholars, the stress and work never seems to end. 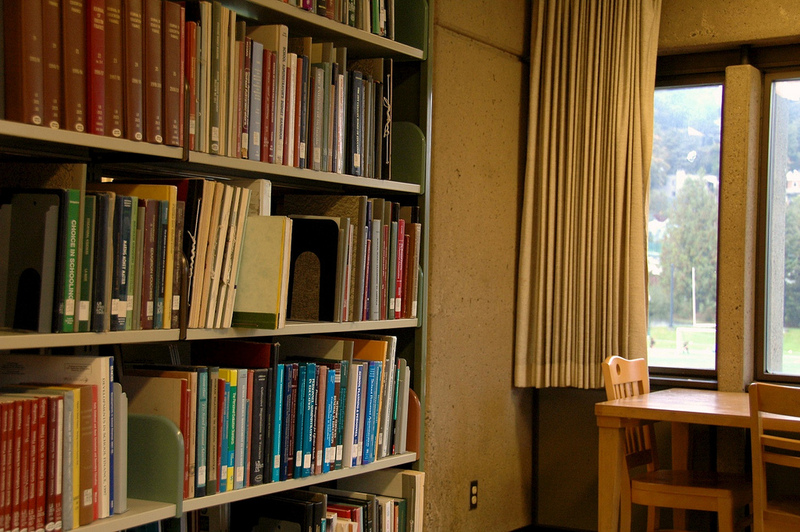 Being a scholar shouldn’t be about “publish or perish” or something to that effect. Academia should be about the productive exchange and elaboration of knowledge, and we hope to provide the tools that will keep it that way. What it is… and what it doesn’t have to be. For those of us who like our research to be infinitely exploratory, surprising, and unpredictable (both the bless and the curse of being a post-modern cultural anthropologist – don’t ask me what that means), suddenly writing for scholars in different fields startles the entire research process. Suddenly some scholars are forced to think of p-values, R-squares, and significance and while others might be confronted with deconstructionism, actor-network theory, or (gasp) post-postmodern critique (seriously, don’t ask me what this means). Apparently, Gary Larson loved to draw about ameobas, but I speculate he got lazy. 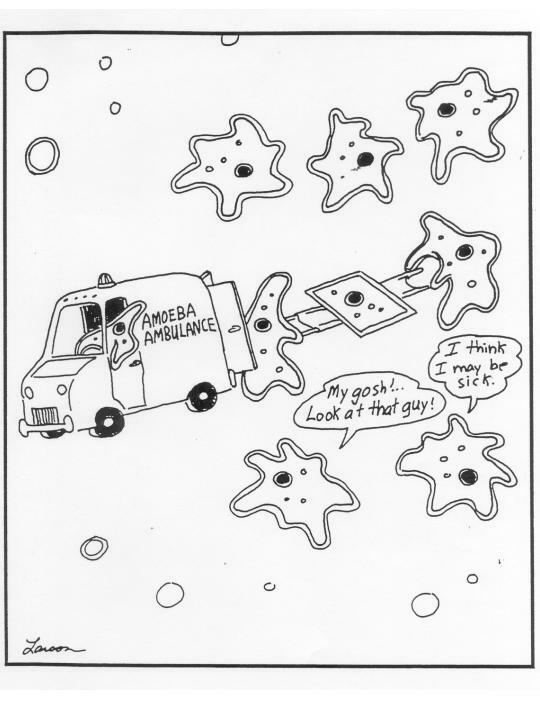 Hence, the concept of “putting an amoeba in a suit.” Grant writing for many is this violent process of suddenly formalizing our research, especially when we are taught to keep our research open and “rhizomatic,” so to speak. Others might find the process to be perfectly adequate (typically in the “hard” sciences, which I find worth exploring). We end up hating our grants possibly even our research, which does translate poorly to those committees that evaluate your proposals. They can smell everything. On the other hand, some students and scholars are so starved for research funding that they’ll accept just about anything … if it means compromising their research to suit the needs of their supporter… or even adjusting their own moral core. This happens more often than one would think, and while the research advances and the wide-eyed scholar gains recognition and possibly a solid academic career, many scholars look back at their unadulterated intentions in graduate school and wonder… what happened? I think people should discard both of these attitudes and try to think of the grant application process as a challenge, not as a blessing or a curse. Being able to communicate your work is vital for your future, as you always want to build an audience or even a community around your own interests. It’s unlikely that an English scholar will apply for a biology grant in the National Science Foundation, which means most people will apply to grants that are relevant to their own interests. It’s just a part of the grant writing process, albeit a frustrating one. However, I offer a solution to making it just a little more tolerable. What is the Agile Scrum Method? Scrum was first developed in 1986 by two Toyota executives in Japan to increase the speed and flexibility of their manufacturing processes. Rugby players probably recognize the word, and rightly so, because this process involves frequent, cyclical moments of unity, when people come together as a team to finish a product. Software companies more commonly use it since they are project-oriented, but I think it could be branched out. This process may sound weird at first because it’s directed more for software development, but I applied to the efforts of a writing team, and we were highly successful with it. I wish I knew about it while I was in graduate school, because my productivity would have flown through the roof. You should never work on a grant proposal alone. Find at least three other cohort mates to work on grants with, and you will all be of mutual benefit. Appoint one of you as Scrum Master, someone who helps maintain the focus of the entire group and removes any obstacles that might get in the way. The Scrum Master doesn’t manager or supervise the team – s/he is a member of the team that enforces the rules and the Scrum process. 2) Start a plan for a month prior to the deadline. This removal of the ego and conceptualization of your grant as something that others will read is the first major shift that must be taken before you move on. Commit to a Time Schedule – Use time frames of 1 hour, 2 hours, 4 hours, and 8 hours. If anything takes longer than that, it needs to be broken down into smaller pieces. Don’t be afraid to over-estimate. You’ll feel better knowing you did something faster than you thought you would. Create a Backlog – You need to store all of these user stories and tasks into a big database called a backlog. Excel is okay, but if you really want to max our your Scrum potential, I recommend spending $10 a month (or less) for some Scrum-based software (OnTime, GreenHopper, ScrumNinja are good). Estimated total amount of time: 26 hours (or, with 4 hours per day, 6.5 days or just under a week). I also over-estimated the time, just in case certain items take longer than usual. However, a week is a solid amount of time to get a strong first draft in, and the next weeks can be spent doing edits for yourself or for others, all of which should also be planned and incorporated. Remember to balance it out with the rest of your schedule. You have to give yourself an appropriate amount of time in the day to do these kinds of tasks. Anything more and you will most likely burn out. Grants are important, but they’re not the end of the world. Also, even though there will also be overlap, do not use the “one grant fits all” strategy. Every grant is different and wants to see different information on their applications. Plan accordingly and create proper user stories for each of them. If you’re working as a team, it’s important to remind yourself of that every day. The Daily Scrum is a quick 15-minute meeting where everyone in the team reviews the following: (1) What they did since the last scrum, (2) What they plan to do for the day, and (3) what obstacles might be in their way. The Scrum Leader organizes and facilitates scrum, and s/he also helps the team member remove obstacles that are in the way. The Scrum Leader also must record accomplishments and incorporates into a chart I will talk about later. Why do these meetings go by so quickly? They’re standing meetings. Unless they are unable, it’s important to conduct them as standing meetings in order for them to go buy as quickly as possible. The Scrum Leader must be as “religious” as possible when it comes to conducting these meetings because they set a wonderful precedent for goal-setting and achievement every day. I’d recommend using software, but this … works? 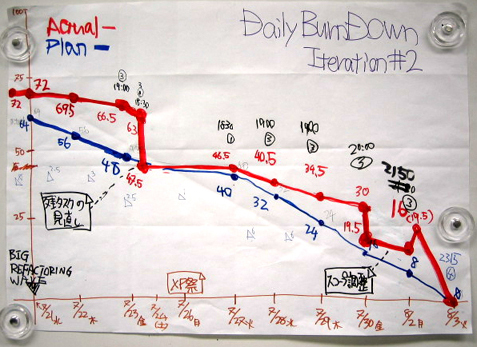 A Burndown Chart is the most motivating aspect of the Agile Scrum. What you typically see are two lines, one depicting the planned trajectory of the work flow, the other the actual trajectory. This image alone acts a reminder of what everyone as a team set out to achieve and what they are achieving, according to their Daily Scrum reports. Naturally, not everything goes to plan. 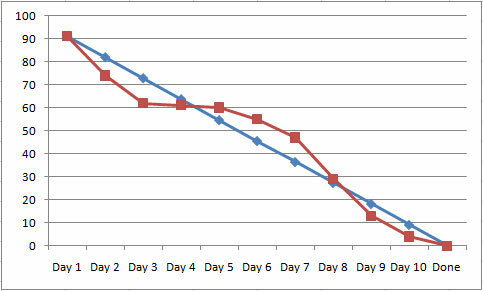 The Burndown Chart shows this very beautifully and allows teams to re-orient themselves in order to make their goal. Especially for grant season’s hectic, overlapping deadlines, adjustments will always be made. Using the Agle Scrum will make you even more flexible to such challenges and achieve your goals accordingly. Here’s a much more elegant Burndown. 5) Once you’ve submitted a proposal, review and plan the next one. I can’t promise you endless victory, but I can promise you that your work will be much more focused and far less stressful if you give this method a try. It is my honor and pleasure to introduce Academica’s very first contributing guest writer, Stacy Austin! Stacy is a close friend of mine since our high school years (the exact years I refuse to disclose), and she has graciously written a few of her own thoughts on her experiences in graduate school to share with you. We hope she will be the first of many to rise up and express their grievances about academic culture. Please enjoy! I clearly remember the first day of my graduate program. It was supposed to be a quick two years master’s program in communication. I went to orientation, met with my cohort, and even updated my Facebook status: “First day of grad school, complete!” I was genuinely excited. 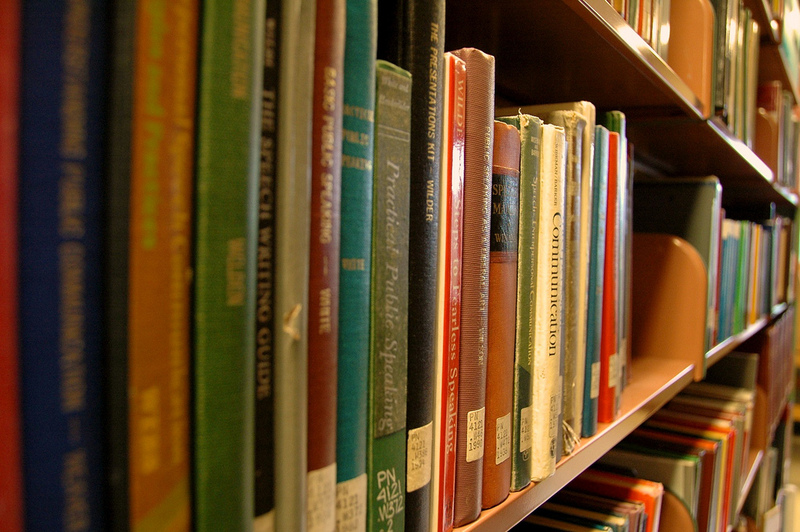 be prepared to scour the library for more things to read. My department is very reputable and strong, but it has recently gone through a massive upheaval, i.e. After losing my thesis advisor to a department change, I voiced my frustration to the department head over the lack of guidance and information I had received. All s/he told me to do was “soldier on.” How could professors who are scholars, experts, and educators in communication… be so poor at communication? I’d often spend time with graduate students in other programs. “I’m miserable,” I’d tell them. Look at these students loitering on campus. They appear to empathize with academic pains. Even though they didn’t have the same problems I did, they certainly had their share. Academia is full of problems. I should be happy to work with and for my esteemed professors. but I’ve spent so much time there that empty chairs always look really welcoming. Let me share a bit of advice given to me by a peer, of which I still pass on to others. 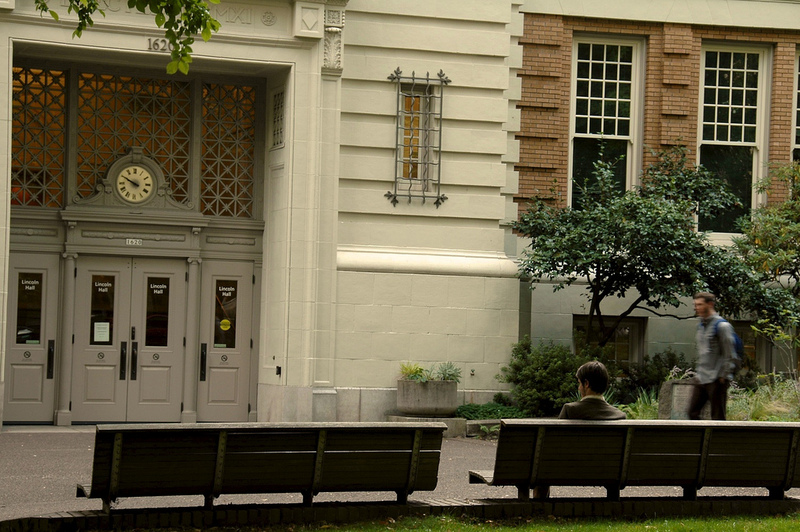 Participating in graduate classes and teaching undergraduate courses are the easy part of grad school. 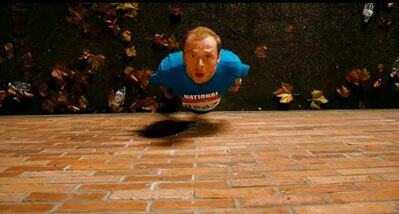 Working on my thesis, however, has been the real uphill battle. If you decide to stick it out and finish your program, here are five tips for completing your thesis and graduating out of the “Eeyore Effect” (see Winnie the Pooh to understand). Every time you email your thesis advisor a draft, let them know how many weeks are left in the term and your expected graduation date. This may seem unnecessary, repetitive, or even annoying, but let’s hope it’s an idea that must get planted in their heads. Don’t just cross your fingers; take initiative to move the process along. Keep the graduate advisor in your program updated about your interactions with your thesis advisor every month. You will have a paper trail and the department can assist you in case your thesis advisor drops the ball or goes rogue on everyone. Also, if you are concerned about your thesis advisor returning emails or providing feedback within a reasonable amount of time, tell your graduate advisor as soon as possible. If you email or call your thesis advisor, and they don’t reply, contact them again. If they don’t reply, do it again until they finally respond. If over a week passes where you’re unable to work on your thesis paper due to a lack of feedback, you will have lost valuable time. Get your forms and deadlines in order, marking them on a calendar. Graduation is often contingent on getting your department to sign and turn in the correct paperwork on time. Help them help you. Follow-up on EVERYTHING you tell your thesis advisor. To them you’re merely vacationing in academia, while they’ve made it their life’s work. No matter what, you will be perceived as a lower priority to their own concerns. Pertinent information about you can easily be forgotten by them. Maybe your program is a breeze and you’ll never need to utilize these tips. If so, good for you! If not, plenty of people will empathize with you, so don’t ever feel like you’re ever alone in how you feel. Stacy Austin is a master’s student in communications and a freelance writer. Visit her blog stacylaughs.com or follow her on Twitter at @stacylaughs. Scholar Hero is now in Closed Beta! Sign up for a live demo! A Question of Kwanzaa: What Is It?